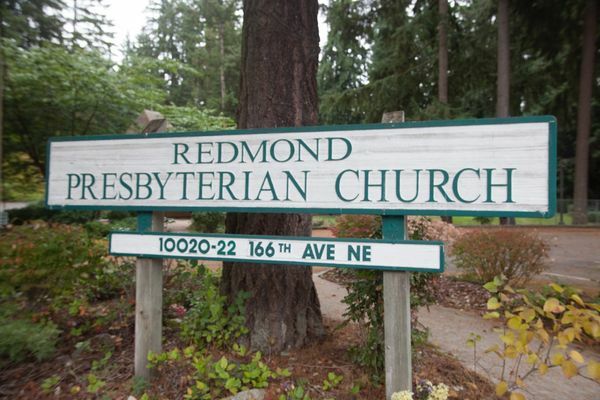 At Redmond Presbyterian Church you will discover a warm group of real people dedicated to following Jesus. Redmond Presbyterian Church (10020 166th Avenue NE, Redmond, WA 98052) is located in the “Education Hill” area of Redmond, Washington. It is situated at the corner of 166th Ave NE and NE 100th St, just across the street from the Redmond Middle School tennis courts. For a map of the church buildings, please click here. You can enter the Sanctuary at RPC through any door. Once you walk into the Sanctuary, ushers will greet you, offer you a worship bulletin, and help you find a seat, if needed. The ushers can also answer any questions you may have (or point you to the person who will be best able to assist you). Our ushers are here to help you get settled and comfortable. We love kids. There is quality childcare available in the nursery for infants, toddlers and preschoolers up to age 4. Nursery workers have undergone background checks and training. The nursery is located in the Christian Education Building adjacent to the Sanctuary on the lower level. Older kids will be invited to Sunday School partway through the service. On Sunday mornings, RPC strives to create a worship experience that is welcoming to all. In the 9 a.m. worship service, traditional hymns are sung. For the 11:15 a.m. service, musical instrumentation is contemporary/modern (keyboard, guitars, and drums are typical), and more recent Christian songs are sung. The first half of the service includes singing, prayers, and announcements; the second half includes the message or sermon and closing songs. Of course, families are always welcome to worship together during the service. Our quiet room with a view to the Sanctuary is available if you need to comfort a small child. In between worship services, all visitors are welcome to join us for hot coffee and treats in the Upper Room (2nd floor) of the Christian Education Building, adjacent to the Sanctuary. The CE Building is wheelchair accessible and is equipped with an elevator that is located on the East end of the building.